We offer a wide range of Field Sensors, Transmitters and Isolators, which is developed as per DIN 43760 standards. These are available in various range, size and models, as per the specific requirements of our clients. Our range is reliable, light in weight, and manufactured in line with the set industry standards. The Pressure Sensor MSI – 5100 series offered by us meets the demands of latest heavy industrial CE requirements. These include surge protection with over voltage protection to 16Vdc in both positive and reverse polarity. The pressure port in the device is machined from a solid piece of 17-4PH stainless steel (316L optional). Further, these are no O-rings, organics or welds, which are exposed to the pressure media. This ensures that the Sensor is leak proof with all-metal sealed pressure system and can withstands more than 10 million pressure cycles. 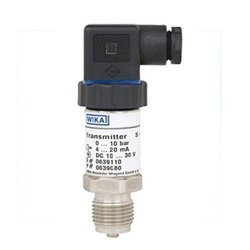 We manufacture and export pressure transmitter WIKA S-10, which are mechanical engineering, hydraulics / pneumatics and general industrial applications. These are used to measures pressure, of different gases or liquids. The unit allows in easy access to all smart line configuration database parameters with the use of windows technology. 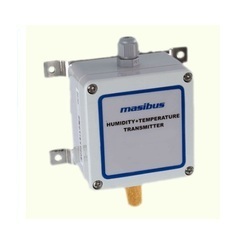 Our organization is involved in offering a quality range of Humidity Transmitter HT7S, which is manufactured in line with the latest technological advancements in the market. 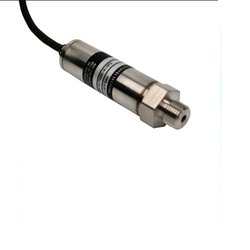 These interchangeable sensors are provides accurate temperature measurements along with long term stability. Our range is available in various customized finishes as per the clients need and offered at industry leading prices. 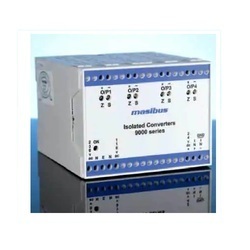 Linearised analog 4 - 20 mA signal output (2 wire loop powered). 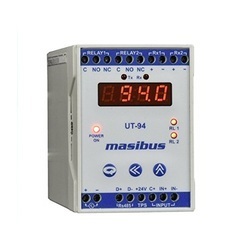 The comprehensive range of Universal Transmitter Model UT- 94 offered by us is represents the highest level of transmission performance and flexibility. These are compatible with entire multi view series with the help of three port isolation i.e. between inputs/ output/ power supply. Our range is available in both standard and customized finishes as per the requirements of our clients. With our in-depth industry knowledge and process expertise, we offer our clients an extensive range of Isolator Model 9000. These are manufacture after extensive market research to ensure high performance at users end. The device has three port isolation options and can accept non-std signal input. Further, the built in transmitter powering ensure to provide accurate results. We offer our clients a comprehensive range of Isolator Model 9000U, which is manufactured in compliance with set industry standards. 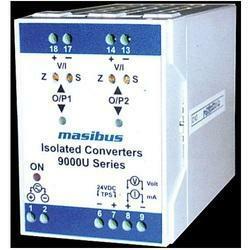 These are operated with main DC and accept non-std signal input option. Our range is appreciated for rugged construction and ensures to provide accurate and quick results with the help of transmitter powering. Looking for Sensors And Transmitters ?